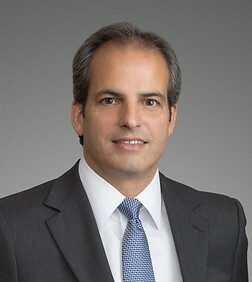 Frank Falzetta is a partner in the Business Trial Practice Group in the firm's Los Angeles office, and is Head of the firm's Insurance Team. Frank focuses on insurance-related litigation, class actions, and antitrust/unfair competition claims. Over the past 32 years, he has defended insurers in state and federal courts against claims for breach of contract, bad faith, fraud, unfair business practices, and violations of state and federal antitrust laws. Most recently, Frank has defended a series of class actions brought against insurers for alleged breaches of policy provisions, violations of state insurance statutes and regulations, and antitrust violations. He also represents both commercial and personal lines insurers in high exposure bad faith cases and complex coverage litigation. Frank has received an AV® rating by Martindale-Hubbell®, the highest rating an attorney can receive for legal quality and ethics. Frank also is listed in Best’s Directory of Recommended Insurance Attorneys. He was recognized as a “Super Lawyer” in 2005, 2006, 2007, 2009, 2010, 2013, 2014, 2015, 2016, 2017, and 2018 by Los Angeles Magazine, and a California "Litigation Star" by Benchmark Litigation in 2015, 2016, 2017, 2018, and 2019. Frank is admitted to practice in all State Courts in California, the Federal District Courts for the Central, Northern, Southern and Eastern Districts of California, the Federal District Court for the District of Arizona, and the U.S. Court of Appeals for the Ninth Circuit. Frank maintains memberships in the American Bar Association, State Bar of California, the Los Angeles County Bar Association, and the California Association of Business Trial Lawyers.